Posted August 23, 2014 by Rob Smedley & filed under Episodes. It’s the Trigger’s Broom Conundrum: is it still your favourite old broom if its handle and head have been replaced? How much can you change a thing before it’s no longer the thing it was originally was? Of course the answer is yes. Peter Capaldi ticks every big blue box. His Doctor is a coiled-spring of mystery eternally unwinding. A fiercely-eyebrowed nexus between the irascible old man and the enigmatic handsome stranger. Not darker, just more complex. For the first time in ages the Doctor feels like the sum of his past lives, rather than an aspect of them. Which is why, while touching, Eleven’s phone call to Clara felt unnecessary. Capaldi had commandeered our collective image of the Doctor long before that point. But Clara Oswald didn’t have Zoe Ball to introduce her to the new Doctor, or a year to prepare for it. ‘Deep Breath’ is more about acclimatising Clara (who really should be able to deal with regeneration) to the new Doctor than making sure the audience likes him. 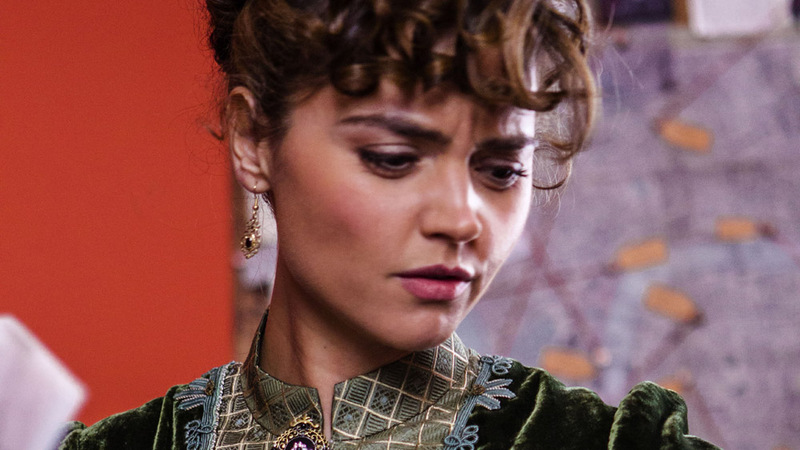 It brings out the strongest performance yet seen from Jenna Coleman. Each of her interactions with the new Doctor and the Paternoster Gang was a joy to watch. In the absence of mystery, the Impossible Girl has been granted the personality she always deserved. She too almost feels as new as the Doctor and his snazzy opening titles. Cliché though it is for a time travel show, I like Billy Hanshaw’s clock and cogs design, though no doubt the purists are pulling a Clara-like cross face at the change. 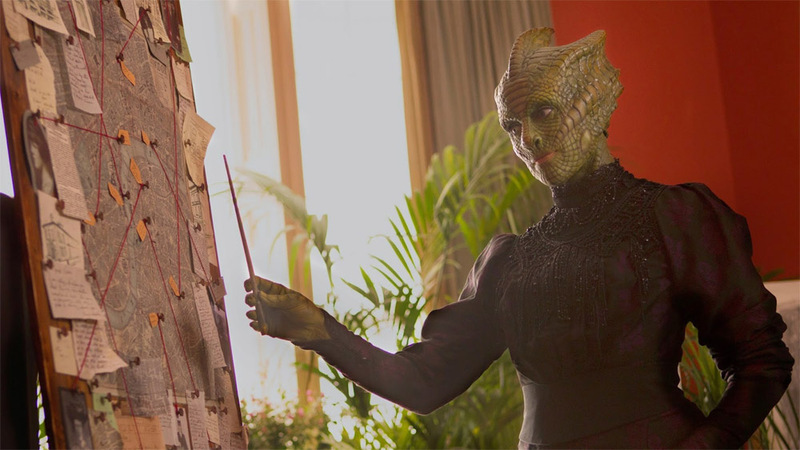 There are still worn-out components in place, although they’re polished by Ben Wheatley’s direction and some of the sharpest dialogue Moffat has written for the show (particularly the early confrontation between Clara and Neve McIntosh’s Madame Vastra). There’s the increasingly threadbare fun of the Paternoster Gang, and once again a familiar enemy that relies on exploiting a human biological function as weakness. Don’t blink, don’t look away, now don’t breathe. Moffat’s concept monsters are getting old now. Once focussed on the villains’ plot ‘Deep Breath’ loses its incredible momentum and plods while its participants run. Perhaps it’s a result of the feature-length popcorn ambitions but it misses the simple immediacy of ‘Rose’ or ‘The Eleventh Hour’. 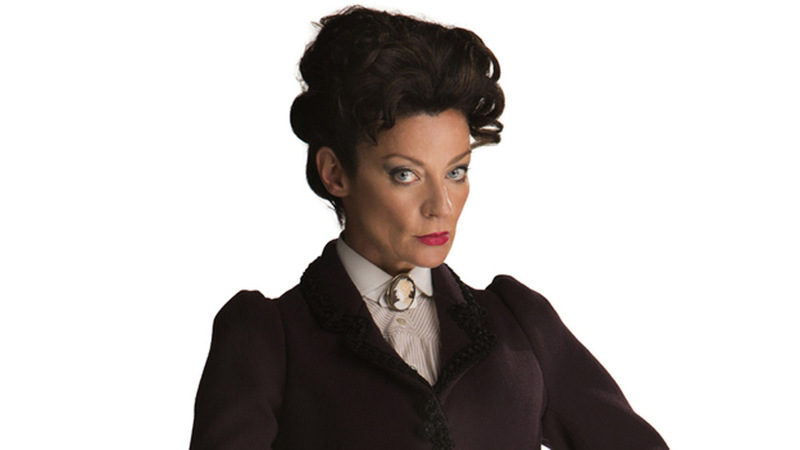 The final scene with the wonderfully wacky Michelle Gomez and “heaven” felt a little too dislocated from everything else to be as impactful and intriguing as it was meant to be. A weird beat for the episode to close on, it would perhaps have worked better as a Marvel-style post-credits stinger. What it lacks in pacing it makes up for with a greater sense of dread. Nothing revolutionary or new – we’re acquainted with organ-harvesting robots – but with skin dirigibles and our hero wearing a dead man’s face as disguise at one point, there’s a lean toward the grand guignol in a way not seen since ‘Brain of Morbius’ and the Hinchcliffe era. If the rest of Series 8 can be as unsettling and fun in a more economical space that its opener, then this will be a run to remember. ‘Deep Breath’ is a strong start and shows a series of great promise. More importantly, it also shows us that Doctor Who is the quantum broom of television, constantly changing parts but always performing the original intended function: sweeping us off our feet on a Saturday night. And sweep this did. Aired at 7.50pm on Saturday 23 August 2014 on BBC One. I noticed that, too, but wasn’t sure if it was meant to be a clue or just a bit of set recycling. I have to say this review is spot on. This is the best I’ve seen Clara since she entered the show. A script and episode that finally stretches her acting talents to their limits! Whilst the call from Doctor 11 may not have been necessary it added a touch of vulnerability to the new Doctor that was just beautiful. The very last scene was too disjointed, that being said I’m really hoping that they’re planning something that will really bowl the audience over. Let’s hope the rest of the series is as good as it’s opener! Uh…. it’s clearly not a easy-to-deal-with example of it, though, is it? No. She always had a personality, even if you could’nt see it. I was initially surprised by the concept that Clara would have any difficulty reconciling with the Capaldi regeneration, because, as the Impossible Girl, she has seen *all* the iterations of The Doctor. Since seeing the episode, however, it appears to me that the speech Madame Vastra gave Clara about The Doctor trusting her and lifting the veil between them was meant for the VIEWER (the Fandom). The Companion has always been the conduit for us to The Doctor’s world – and there was a bit of fussing about Peter Capaldi’s age when he was announced. I’ve been a fan of his since The Lair of the White Worm, and I think he’ll be wonderful.